Many of the issues people come to me with are rooted in eating habits that hinder well-being. Generally, this is not due to a lack of interest in eating well. It is more often the result of a lack of information about how to match a busy lifestyle with nutritional habits that foster good health. With the strenuous demands of modern life, it can be difficult to maintain a regular meal schedule, let alone one that includes healthy and nutritious choices. As a result, it can be easy to develop habits that will take their toll on your vitality over time. As a Health Coach, my role is to partner with those who are ready to take charge of their health so they can feel energized, productive and “good” again. That doesn’t mean you’ll have to develop a taste for food with all the flavor of cardboard. In fact, there’s even fast food that good for you; smoothies! 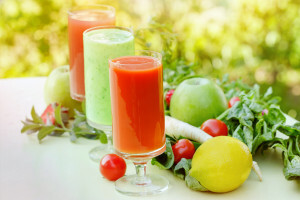 Smoothies are thick, blended drinks made of mainly fruits, vegetables and other nutrient dense ingredients. A homemade smoothie is an excellent choice for a breakfast on-the-go that you can make it in less than 5 minutes. Not only is a homemade smoothie a nutrient rich choice, sipping one on your morning commute can remove the temptation to stop at a carbohydrate-laden drive through. The two key components of a great smoothie are protein (I like an organic grass fed whey protein, like Tera’s Whey) and healthy fats like flax seed oil and avocado. You’ll also want to add greens where possible, the easiest way to do that is with a handful of baby spinach or one to two leaves of kale but be sure to remove the stems. And it’s best to use organic produce whenever possible. Exchanging habits that work against you for ones that cultivate vibrant health requires effort but it’s easier than you might think when you have the proper support. When you are ready, I’ll be happy to help!